In collaboration with the Trinh Foundation Australia and the University of Pham Ngoc Thach (UPNT), Hewat has been working to develop a two-year postgraduate speech pathology program in Vietnam. This is the first ever speech therapy course in Vietnam and approximately 80 per cent of the lectures are provided by experts from Australian universities. Two years ago the first cohort of the training program graduated. They were a combination of already trained health or allied health professionals in Vietnam. Mostly nurses, physio therapists, a couple of doctors, and an ears, nose and throat surgeon. "All of them will go back to their existing jobs; they won't be employed as speech therapists but they will do speech therapy work. So it's an emerging profession – it's not officially recognised yet," Hewat explained. "During the two-year program in Vietnam, I delivered a course in managing stuttering. As part of the course the students and I developed a stuttering treatment program for adults in Vietnam. At the end of the course, we delivered the treatment program to members of a self-help group for stuttering in Vietnam. "This treatment program for adults in Vietnam is obviously very different to what we do in Australia. We can't assume that what we do here will work over there. So we developed the program within that context and then taught the students research methodologies to evaluate it. 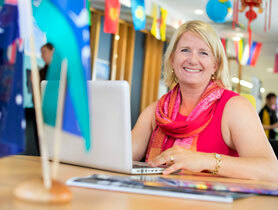 "I like the process of collaborating and supporting others to capacity build. Not to have outside influences come in and say we'll do it for you; it is more capacity building from the ground up." In 2014, Hewat received the Medal from the People's Committee of Ho Chi Minh City – a prestigious honour not usually received by foreigners, which is awarded by the Mayor of the city. She also received a certificate and gift from UPNT. "In Vietnam, when you get an award like that, you know how valuable it is, because those sorts of awards don't go to foreigners, ever. This, again, was recognition of why we need to continue to support it; because that's the only way it's going to develop," Hewat said. "The benefits of our international collaboration have been felt both in Vietnam and here in Newcastle. "The Vietnamese students and community now have access and exposure to experts in the speech pathology field from Australia and have the opportunity to learn within a discipline that previously did not exist in Vietnam." This collaboration also provides UON students enrolled in the Bachelor of Speech Pathology (honours) the opportunity to complete a clinical placement and project work in Vietnam. "We recently had eight students return from three weeks in Vietnam, and their responses to the experience were overwhelming. 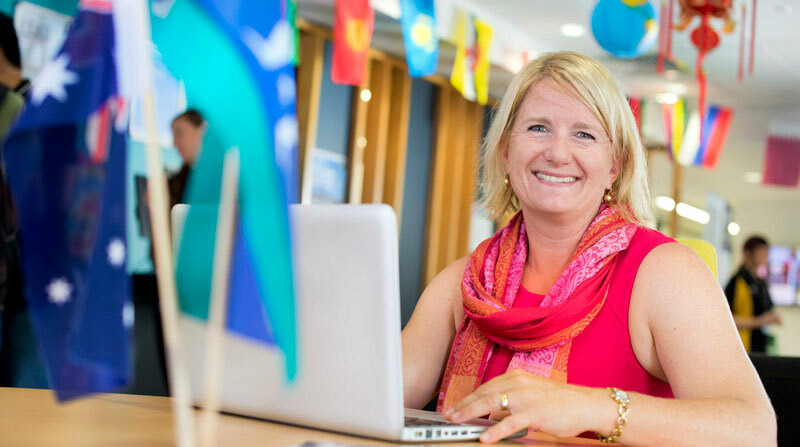 They get to be hands-on and work with levels of complexity that they wouldn't get to in Australia – working with children and professionals who speak a totally different language," Hewat said. "Most importantly, the community now has the opportunity to access speech pathology services in hospitals throughout Ho Chi Minh City that were not previously available." However, there is still much to be done in Vietnam for those who are in need of speech therapy. Hewat believes the majority of her career will be spent developing the speech therapy profession in Vietnam and the surrounding countries. "Even though interventions for younger children who stutter are where we should focus some attention, this is way down the track. We need to have professionals on the ground who can deliver this service," Hewat explained. 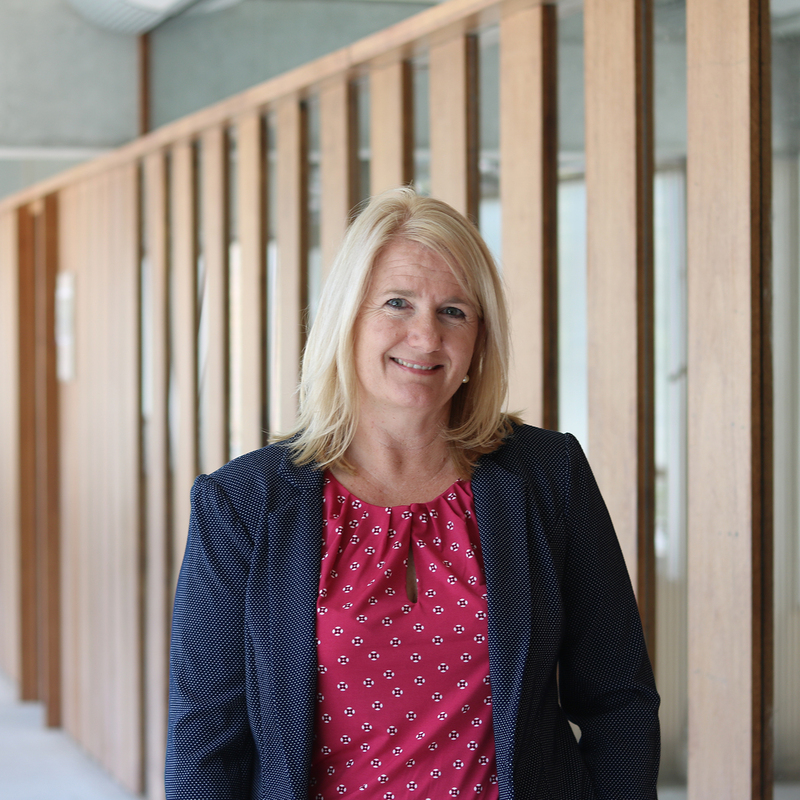 "It's really tricky; in Australia we would focus on community education and early intervention but in Vietnam, I can talk about early intervention and the optimal time to treat stuttering – that is, before they start school – however the fact of the matter is there is no one to treat it over there, bar a proportion of the 32 speech therapists we have now trained. "Every person has the right to communicate. Through the development of speech therapy as a profession in Vietnam, this may eventually be possible." © 2018, © 2018 Informa UK Limited, trading as Taylor & Francis Group. Purpose: In mainland China, speech therapy is an emerging profession, and it estimated around 13 million people stutter. Currently, best practice for treating stuttering in young children is considered to be implementation of the Lidcombe Program. The Lidcombe Program is a behaviourally based treatment approach which involves parents delivering feedback to their child¿s stuttered and stutter-free speech in structured and unstructured conversations, in a natural environment. Currently, there is no published research documenting implementation of the Lidcombe Program in mainland China. Given the cultural differences that exist between Australia (where the treatment was developed) and China, an investigation into the feasibility of the treatment into this cross-cultural context is warranted. Methods: This study investigates implementation of the Lidcombe Program to two Mandarin-speaking children using a descriptive single case study design. The primary outcome, percent syllables stuttered (%SS), was measured within¿¿ and beyond-clinic at two assessment points, and analysed for statistically significant change. Results: Both participants in the study achieved a significant reduction in stuttering rates, suggesting the Lidcombe Program may be a viable option to treat some children in a Mandarin-speaking population in China. Additionally, the treating therapists provided feedback on cultural considerations when implanting the program to this population. Conclusion: There is a need for research into effective and evidence-based stuttering treatments for Mandarin-speaking children in mainland China. This study is a preliminary investigation into the effectiveness of the Lidcombe Program in this context. © 2017 Royal College of Speech and Language Therapists Background: Clinical placements are crucial to the development of skills and competencies in speech¿language pathology (SLP) education and, more generally, a requirement of all health professional training programmes. Literature from medical education provides a context for understanding how the environment can be vital to all students¿ learning. Given the increasing costs of education and demands on health services, students who struggle or fail on clinical placement place an additional burden on educators. Therefore, if more is known or understood about these students and their experience in relation to the clinical learning environment, appropriate strategies and support can be provided to reduce the burden. However, this literature does not specifically explore marginal or failing students and their experience. Aims: To review existing research that has explored failing and struggling health professional students undertaking clinical placements and, in particular, SLP students. Methods & Procedures: A critical narrative review was undertaken. Three electronic databases, ProQuest, CINAHL and OVID (Medline 1948¿), were searched for papers exploring marginal and failing students in clinical placement contexts across all health professions, published between 1988 and 2017. Data were extracted and examined to determine the breadth of the existing research, and publications were critically appraised and major research themes identified. Main Contribution: Sixty-nine papers were included in the review. The majority came from medicine and nursing in the United States and United Kingdom, with other allied health disciplines less well represented. The review identified key themes with the majority of papers focused on identification of at risk students and support and remediation. The review also highlighted the absence of literature relating to the student voice and in the allied health professions. Conclusions & Implications: This review highlighted the limited research related to failing/struggling student learning in clinical contexts, and only a handful of papers have specifically addressed marginal or failing students in allied health professions. The complexity of interrelated factors in this field has been highlighted in this review. Further research needs to include the student&apos;s voice to develop greater understanding and insights of struggle and failure in clinical contexts. © 2017 Informa UK Limited, trading as Taylor & Francis Group. Speech therapy is an emerging profession in Vietnam, and there is an estimated 910 000 Vietnamese people who stutter. No research to date has examined Vietnamese speech therapists¿ reliability when measuring severity of stuttering in their native language (Vietnamese) and other languages (e.g. English, a common second language). Twenty-five Vietnamese speech therapists rated 20 speech samples (10 Vietnamese, 10 English) of adults who stutter using a 9-point severity rating (SR) scale on two occasions. Approximately half of the judges were able to measure severity of stuttering reliably in Vietnamese. Judges¿ performance in English was poorer than in their native language. Irrespective of language, judges showed greater variability of their use of the scale in the moderate range. Results highlight the need for judges to develop intra- and interjudge agreement when using the scale to measure stuttering in their native and other languages. Research into the development and evaluation of practice and/or training packages would be beneficial to this population, in all languages, with a focus in the moderate range of the scale. UON has partnered with Orient Speech Therapy Center Limited to develop a world-class speech pathology training program for its clinics in China. 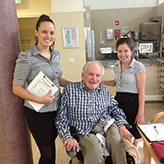 A new initiative in Speech Pathology is creating Work Integrated Learning opportunities while enhancing the lives of residents of a local aged care facility.